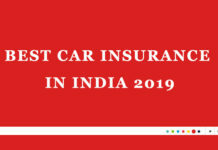 The list of best bike insurance company in India of the year 2019 can be found below. 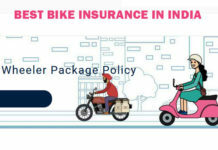 If you have a two wheeler/bike in your wish list for the new year or if you would like to renew your existing bike insurance it’s time to know more about the best bike insurance company in India. 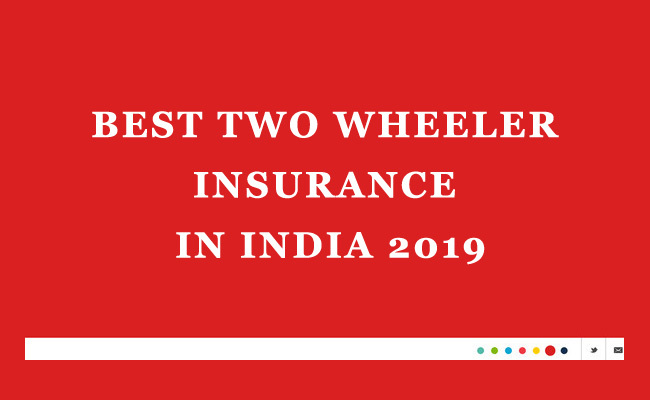 Both public sector and private sector companies providing different plans of two wheeler insurance in India. As per the Indian Motor Vehicle Act, 1988 it is mandatory that every vehicle should have a valid Insurance to drive on the road. 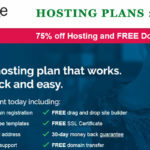 Most of the time you will stick with the insurance company recommended by the bike dealer, but if you spend some time researching the pros & cons of different insurance provider you will be able to find a better plan suits you. 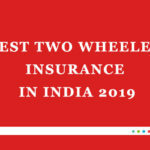 In this article I will help you choose some of the best bike insurance in India for the year 2019. The policy also pays for towing charges from the place of accident to the workshop upto a maximum limit of Rs.300/- for Scooters/Motorcycles and Rs.1500/- for cars and commercial vehicles. It is also permissible to opt for higher towing charges subject to payment of extra premium. ICICI Lombard is one of the largest private insurance companies in India. Till now ICICI Lombard insurance issued over 11 million policies and they settled more than six million insurance claims. 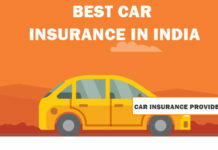 Loss or damage to your vehicle against natural calamities – Fire, explosion, self-ignition or lightning, earthquake, flood, typhoon, hurricane, storm, tempest, inundation, cyclone, hailstorm, frost, landslide, rockslide. Personal Accident Cover – Coverage of ₹ 1 lakhs for the individual driver of the vehicle while travelling, mounting or dismounting from the ​Two Wheeler. Optional personal accident covers for co-passengers are also available. 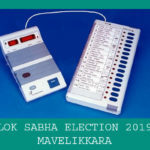 Loss or damage to your vehicle against man-made calamities – Burglary, theft, riot, strike, malicious act, accident by external means, terrorist activity, any damage in transit by road, rail, inland waterway, lift, elevator or air. Third Party Legal Liability – Protection against legal liability due to accidental damages resulting in the permanent injury or death of a person, and damage caused to the surrounding property. You can renew your Two-wheeler Insurance policy online, starting 60 days before expiry of your existing policy. In case your vehicle insurance policy has already expired, our authorised surveyor will inspect the vehicle, before policy issuance. The policy would only be issued subject to a satisfactory inspection and submission of the required documents. HDFC ERGO General Insurance Company Limited is a joint venture between HDFC Ltd. and ERGO International AG. 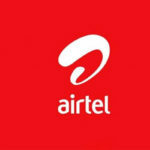 At present operates in 91 Indian cities with over 108 branches. HDFC ergo offers 24×7 support, Zero Documentation & Fair and transparent claim settlement policies. You can avail cashless claim service with over 4800+ authorized network of garages across India. 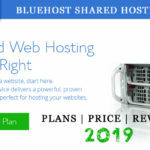 You can also avail no claim bonus for every claim free year. Wherever you go, use our mobile app for instant buying. Thanks to paperless documentation and quick approval, you can download your policy document on successful payment of premium. Bajaj Finserv Ltd. and Allianz SE started their joint venture in 2001. Basic covers offered by your Two Wheeler Insurance are as follows Loss or damage to your two wheeler due to natural calamities, Loss or damage to your two wheeler due to other unforeseen events, Personal Accident Cover and Third Party Legal Liability. Bajaj allianz also offers Long term two wheeler insurance with coverage for up to 3 years. 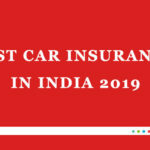 These are the list of top 5 bike insurance company of India in 2019. 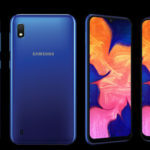 There are other big names in the market such as Reliance General Insurance, SBI General Insurance, United Insurance Company Ltd etc.